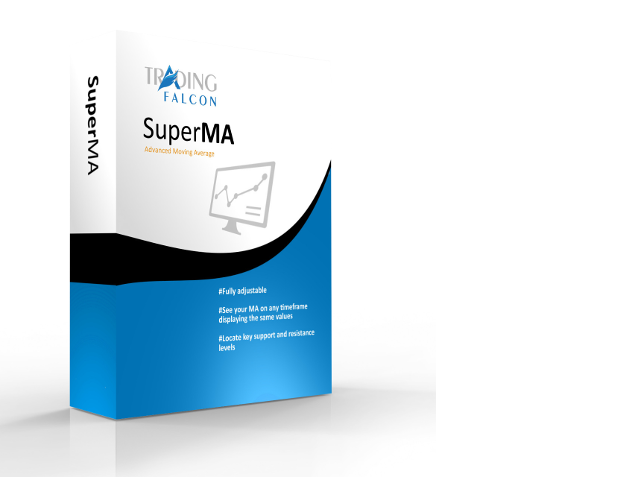 SuperMA is an advanced custom indicator converting standard moving averages into a powerful tool. 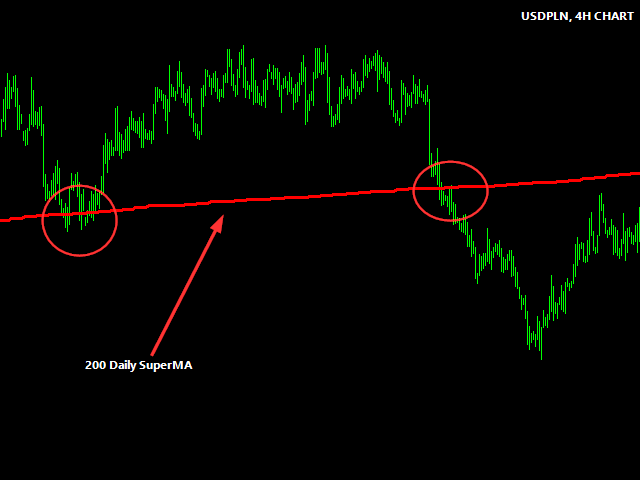 With help of this tool you will be able to see any moving average from the higher chart period on any lower timeframe. 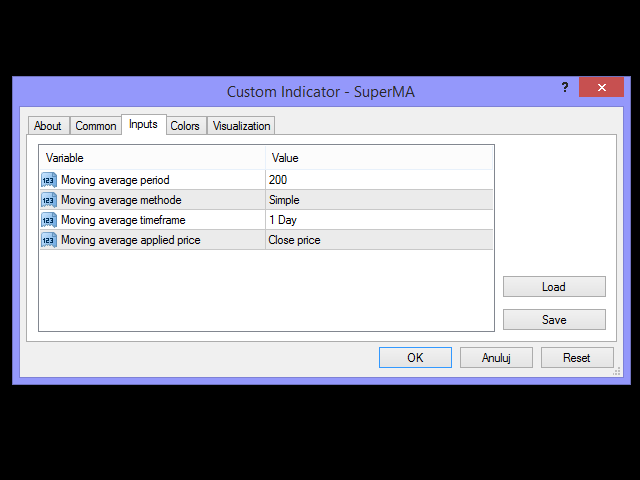 In standard MA indicator, once the user changes chart period (e.g. 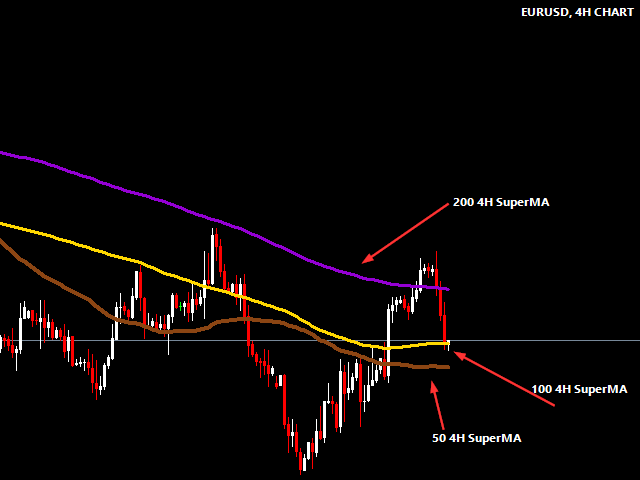 from daily to 1h) MT4 calculates new moving average for the 1h chart – which is completely different from the moving average for the daily chart. 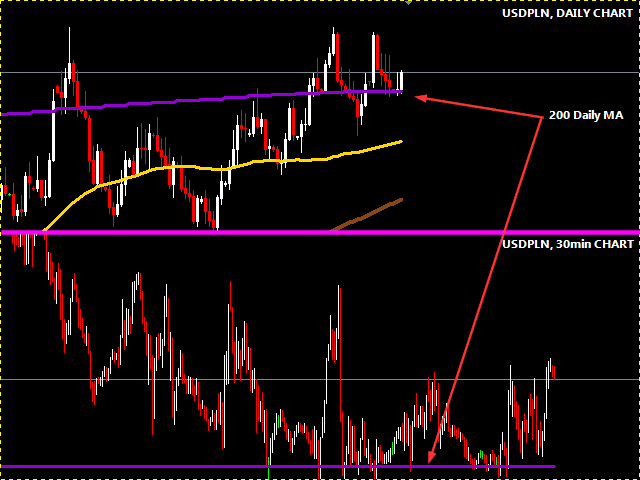 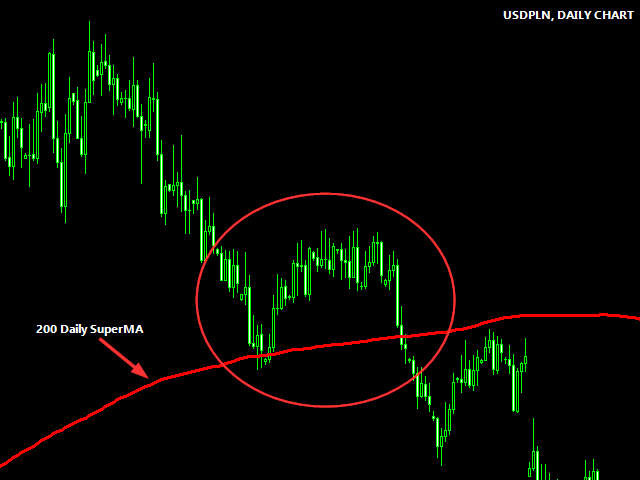 SuperMA makes it possible to see the exact moving average level from higher timeframe on any lower timeframe. 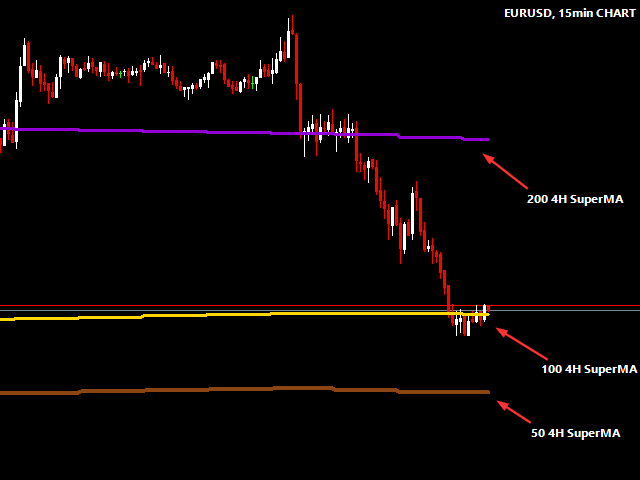 How to use it in trading?